Couple of days ago I posted an article about the SplinQ Firefox extension we made. Firefox rocks, and building extensions is a breeze, but that only covers Firefox users. 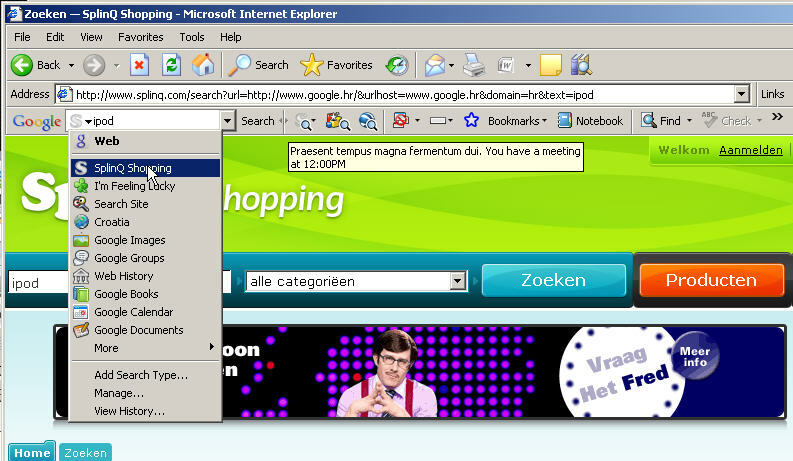 Since we need to target wider site audience, therefore next logical step would be to develop Internet Explorer Add-on. I remember Google Toolbar back in the days Firefox wasn’t so hot. It added nice web search ability to Internet Explorer and many IE bundles had him preinstalled. Google Toolbar is installed by default for Windows/IE users whenever Flash is installed or updated from Adobe’s website, and the penetration of Adobe Flash appears to be around 99% so I suspect Google Toolbar penetration is quite good. With all this in mind we decided to try extending Google Toolbar. I have done exhaustive research regarding Google Toolbar and after couple of hours of prototyping I came to conclusion that we CANNOT reproduce desired behavior from our Firefox extension. 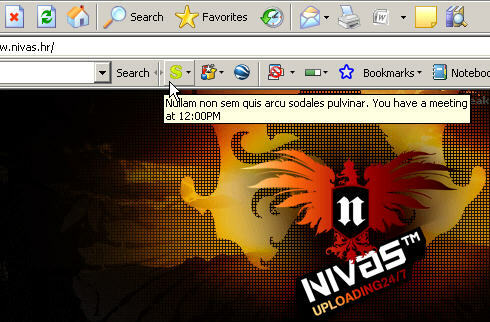 Only way we could “port” Firefox plugin is by writing ActiveX Internet Explorer Addon control. I have used Google toolbar v5 beta since earlier versions of the toolbar are completely useless. The idea was to setup the feed to reload every X seconds and to say to SplinQ server an URL of the website where user is right now, and based on that, toolbar button/gadget would know should it show alerts and notifications by icon change or not. The main reason for a failure is security feature from Google toolbar that prevents developers to automatically send in any way URL of current site user is browsing. That is off course serious security hazard, and I completely understand why Google doesn’t allow this. Malicious user could be able to track all sites you are visiting and record that into his log files. Big fail! Both ways don’t enable us to have seamless way of user notification. What we need here are events, which will trigger upon user visit of new site in browser. Google toolbar doesn’t support this.